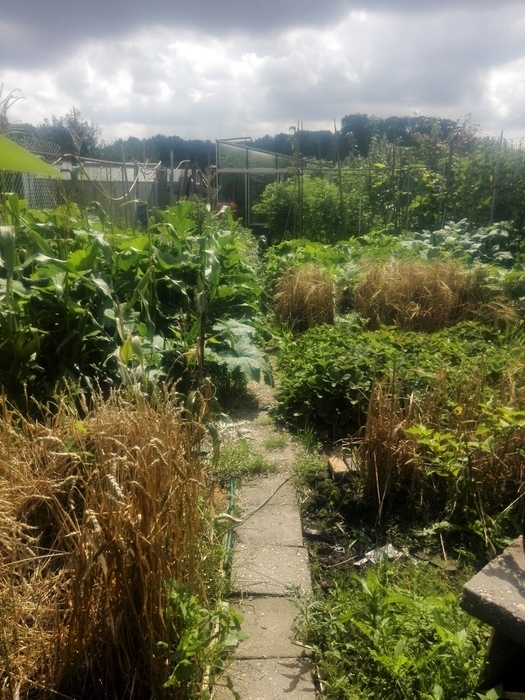 I spend a lot of time in my garden. 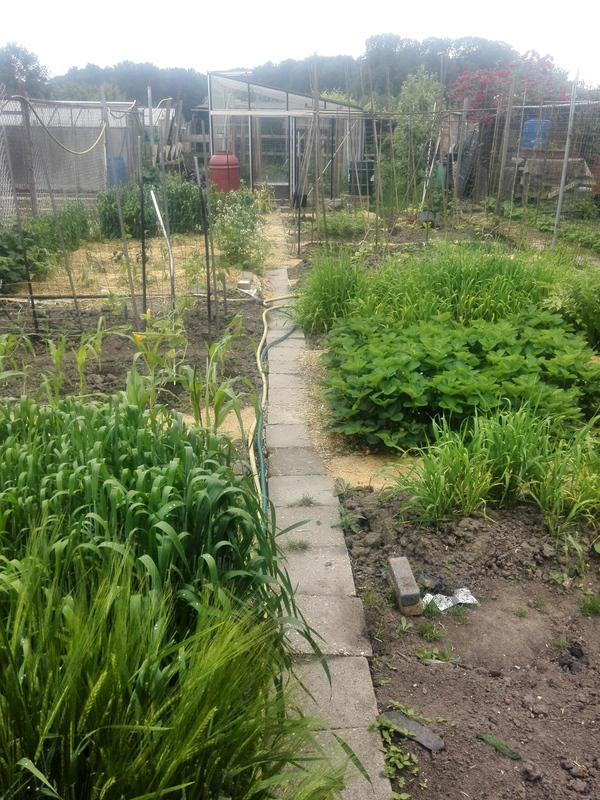 People are always asking, What do you grow? This page is a (partial) answer to that question. 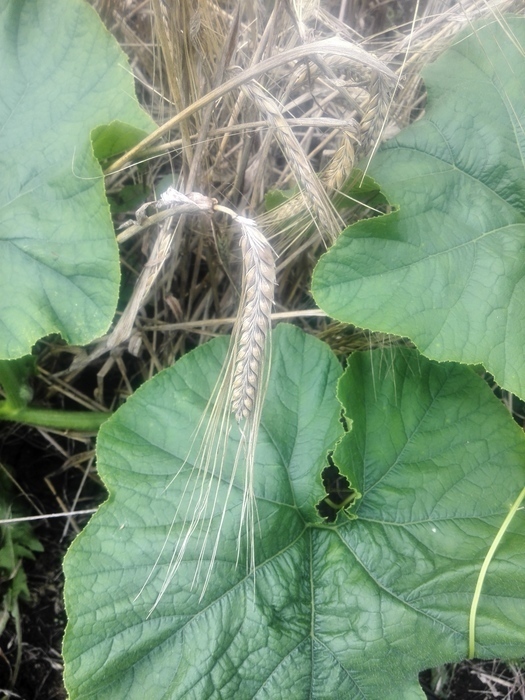 Barley - note the nodding head, which differentiates it from the wheat. This thing looked a bit like broccoli, but grew only tiny sprigs and tasted like radish. My guess is it's an accidental broccoli-radish cross. 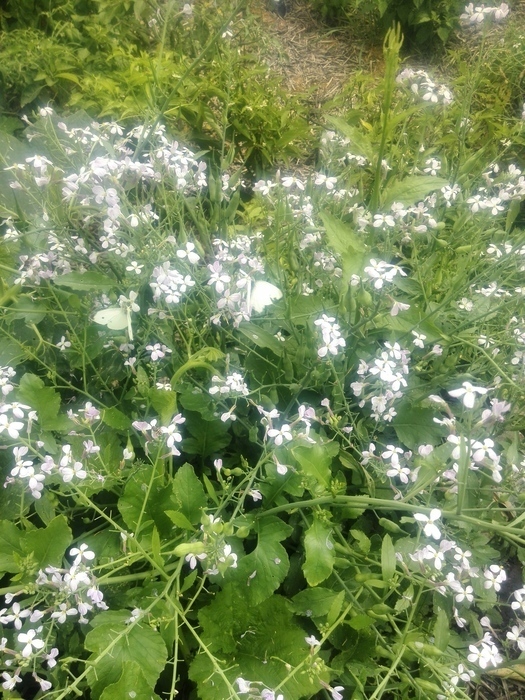 It didn't produce enough radishy sprigs to be worth growing, but the butterflies loved it. 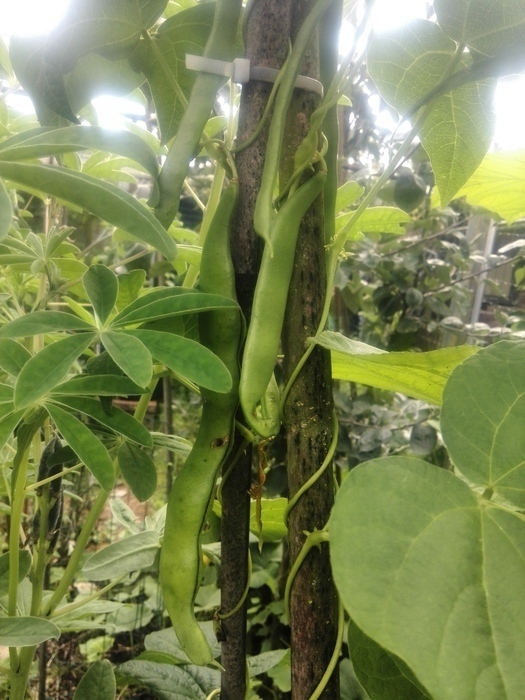 Green beans - these flat ones are called snijbonen (slice beans) in Dutch, but I'm not sure what they are in English. 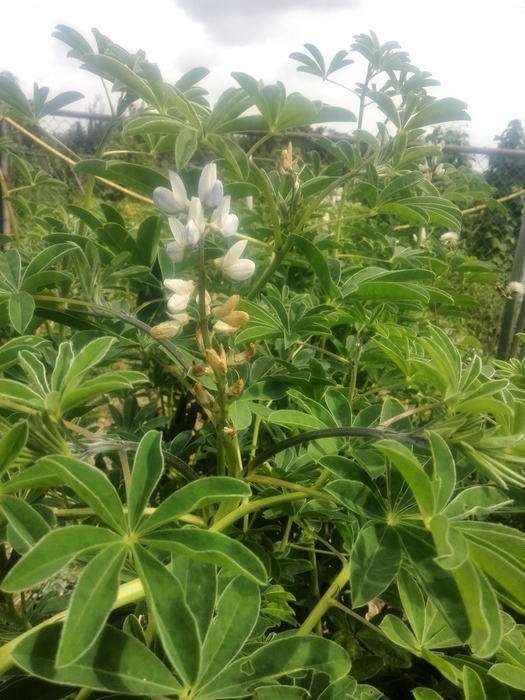 Sweet lupine: Considered edible by the Portuguese and not by much of anyone else. 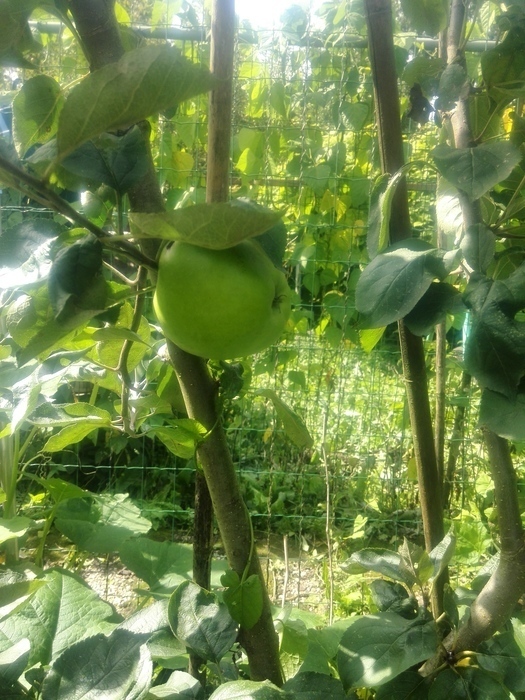 Apple - this is our tree's first summer in the ground, so only one apple this year. 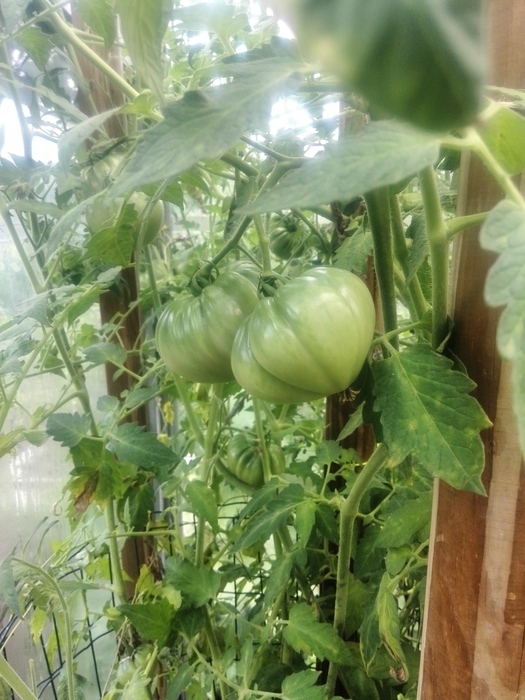 Tomatoes - these are the plants descended from Grandma's seeds. I didn't get around to taking any photos of the ripe tomatoes this year, so I'll cheat and use one from last year. This shows why I like growing Grandma's tomatoes. The flavor is also great. 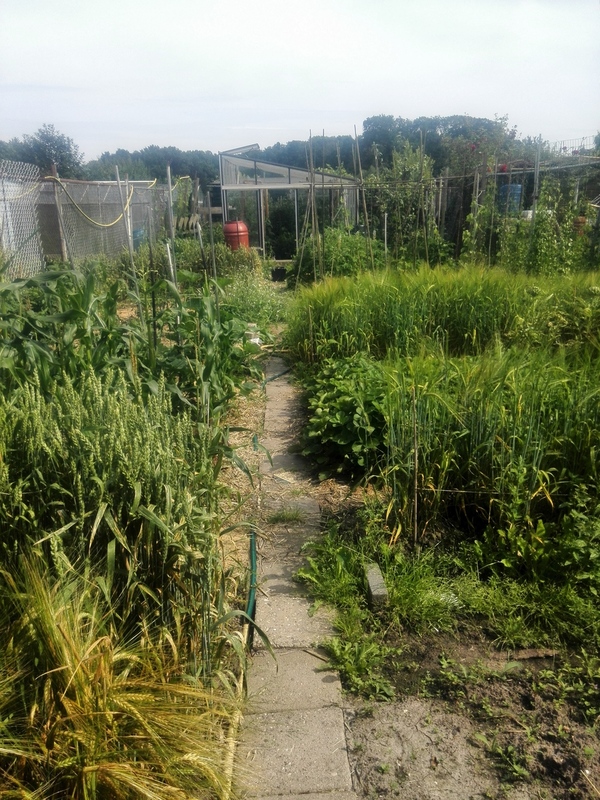 The only trouble is that they seem prone to early blight, but I'm hoping that environmental control will help with that problem. Peppers in the greenhouse. The tallest one is about waist high. 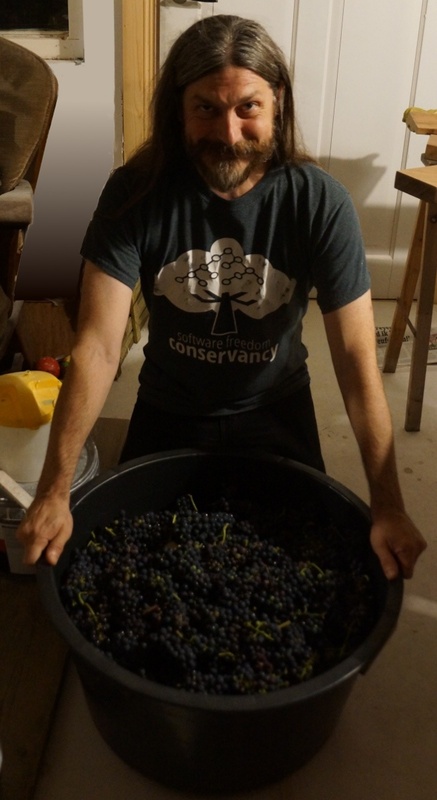 Another of this year's experiments was to make wine from our own grapes. We only have one grape vine, but it's a big one. The experiment went well up to the point where the wine needed to age, at which point it came out tasting like... pickles. 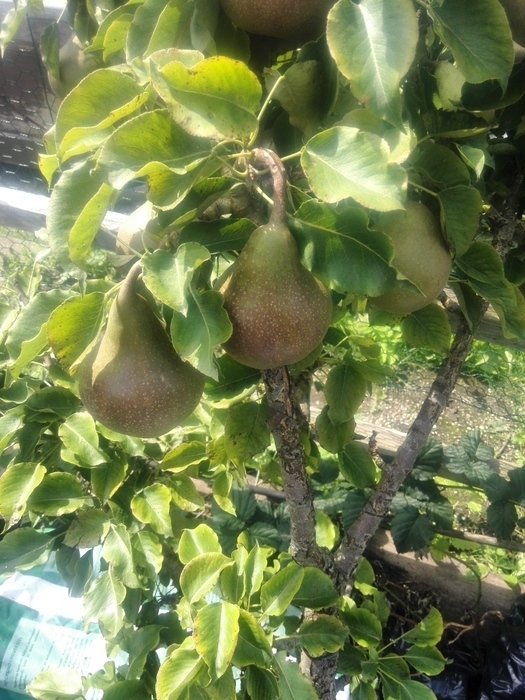 Next year we'll have to add sulfites to stabilize it. More hops than an American IPA. 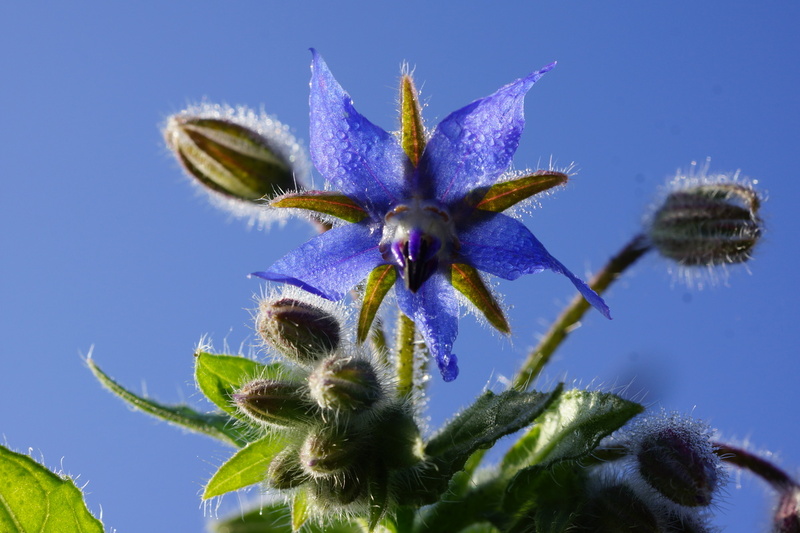 I originally picked up borage seeds because they were said to be a good companion plant. They are a good companion plant in the way that an elephant is a good companion animal. (Spoiler: Elephants are not good companion animals.) They are great for attracting bees, though, and make reasonable border plants and ground cover. 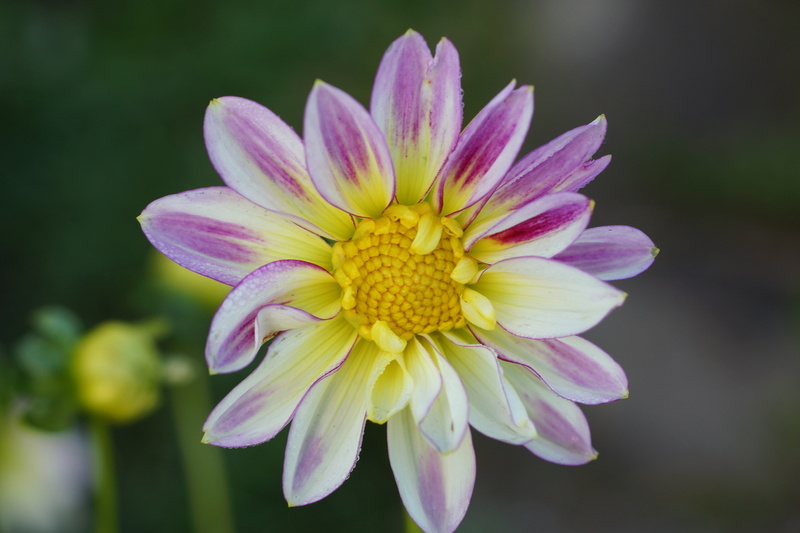 Dahlias are honorary edibles, because the roots can be cooked like potatoes. 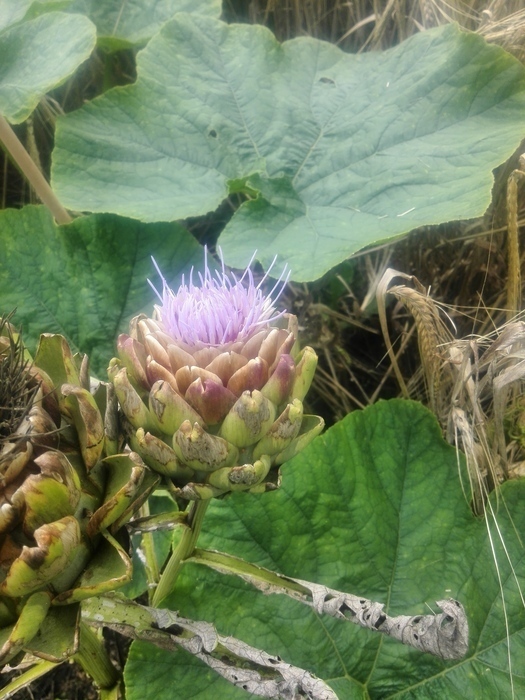 The roots of this one were tough and didn't taste like much, but I kept it anyway because it's pretty and is also good for the bees. This is a pepper grown from seeds given to me by my friend Devdas. 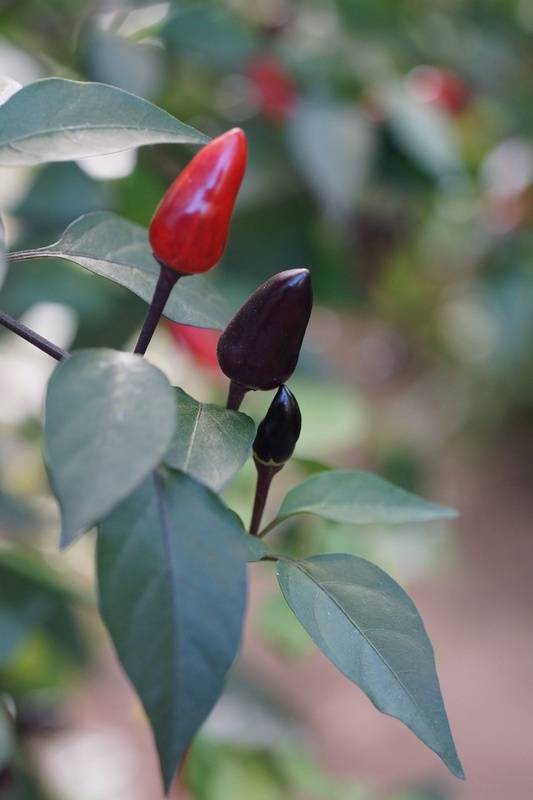 The plant looks completely different from the other peppers, growing to about 2m tall on a heavy tree-like stalk, with large dark green leaves. 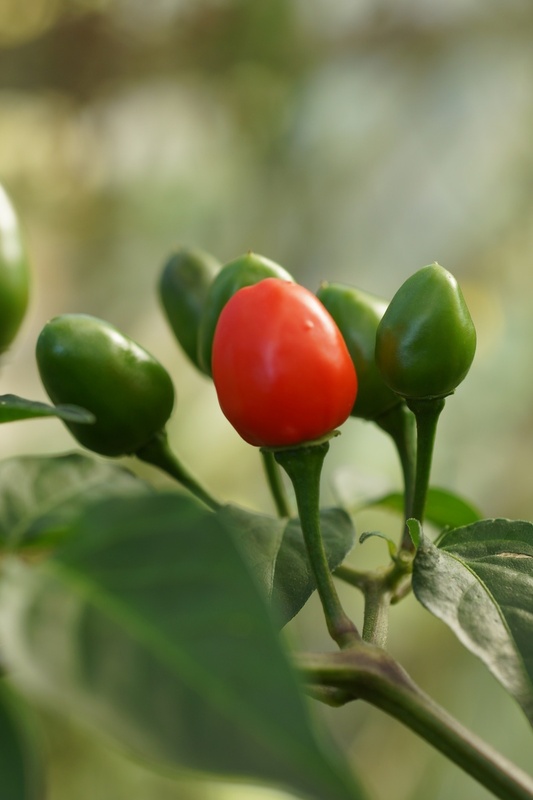 The peppers are small, upright, and searingly hot, with a berry-like sweetness behind the heat. 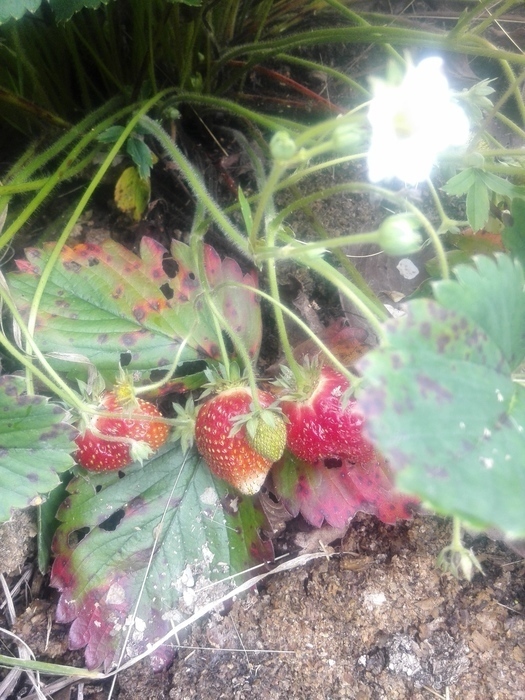 The tasting notes supplied by our intreprid volunteers included strawberry and mango . Another chili supplied by Devdas. 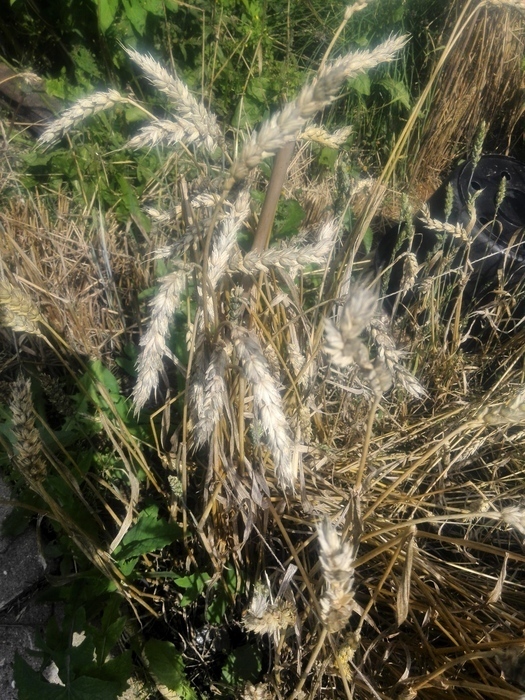 These have lovely purple stripes when young, but seem unfortunately prone to early blight. 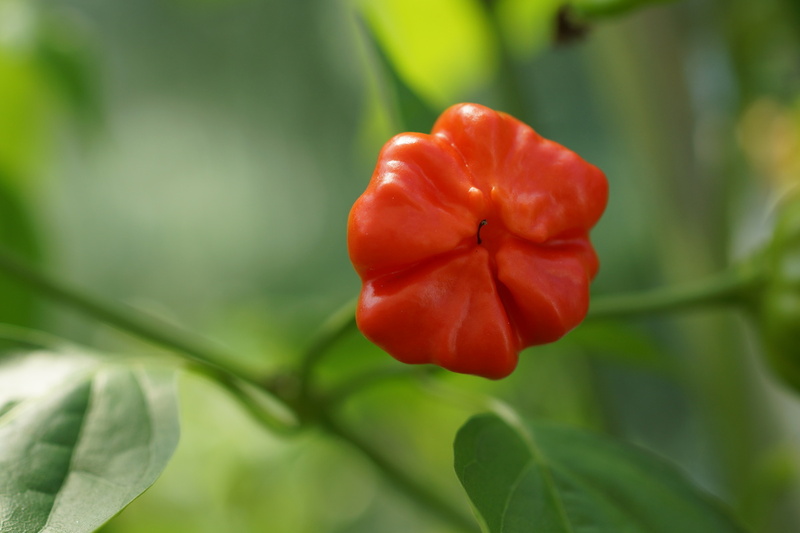 Although it looks like an habenero, the mushroom or cheese pepper is probably an ancestor of the modern bell pepper. 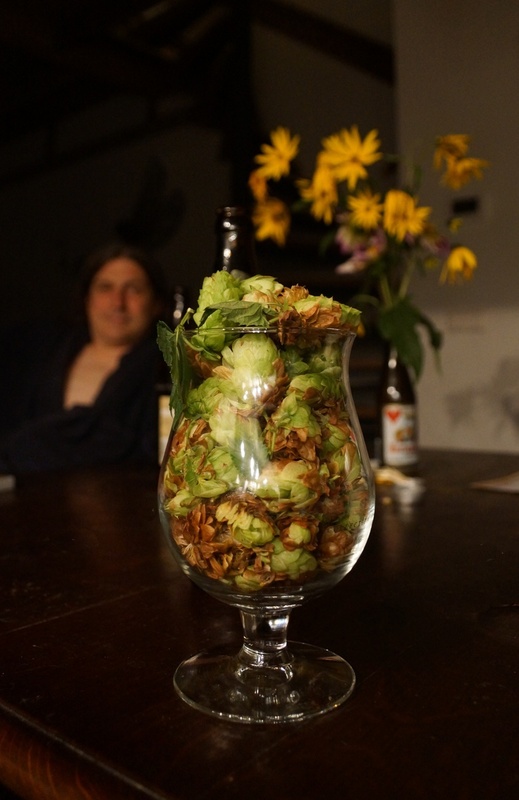 It still has all of the fire of its wild roots, as well as a pleasant taste. 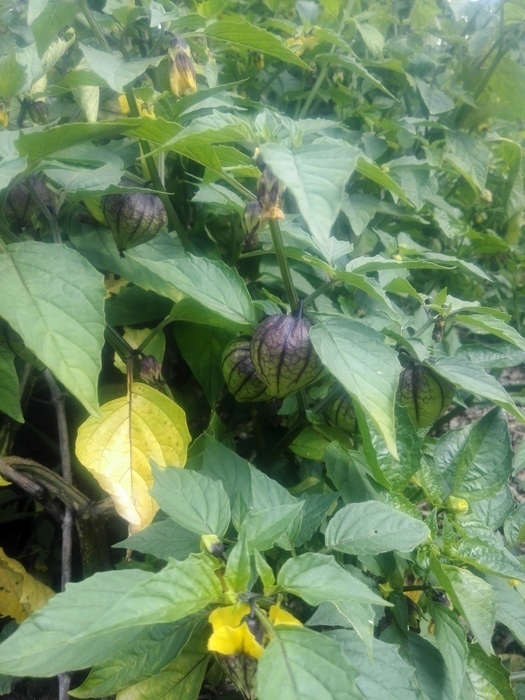 Royal Black peppers are pretty, with dark purple leaves and dark purple flowers. 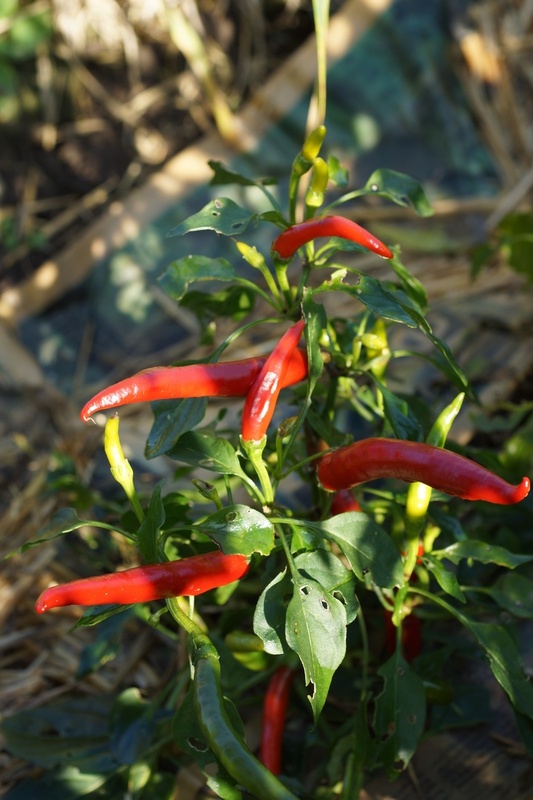 They are productive, with hundreds of tiny peppers per plant. However, they have little going for them in the flavor department, and are mostly just hot. 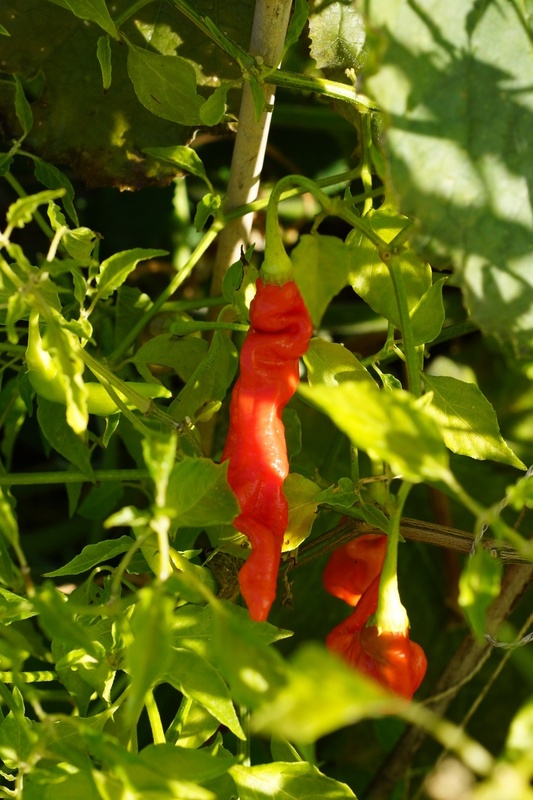 These peppers were sold as aribibi gusanito but morphologically resemble this varity's close and more common cousin, the aribibi gusano. 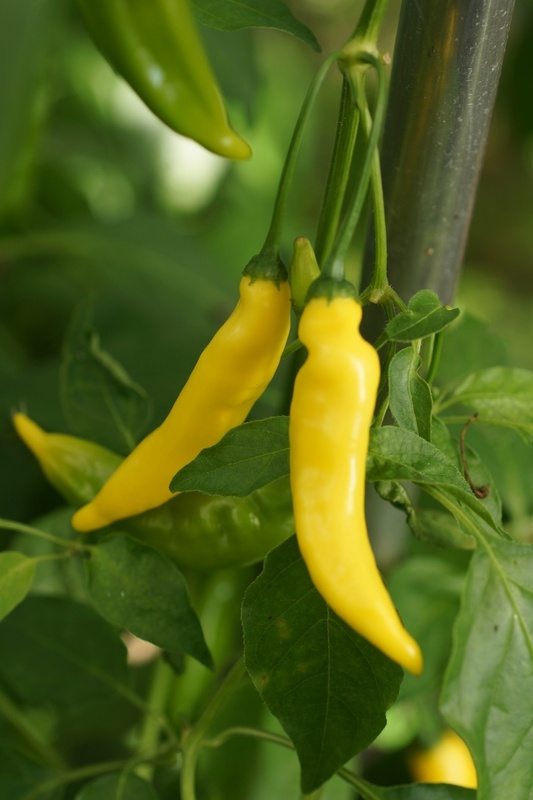 Both are small (2-3cm long), yellow-white, worm-like peppers. Both have a low growth habit. 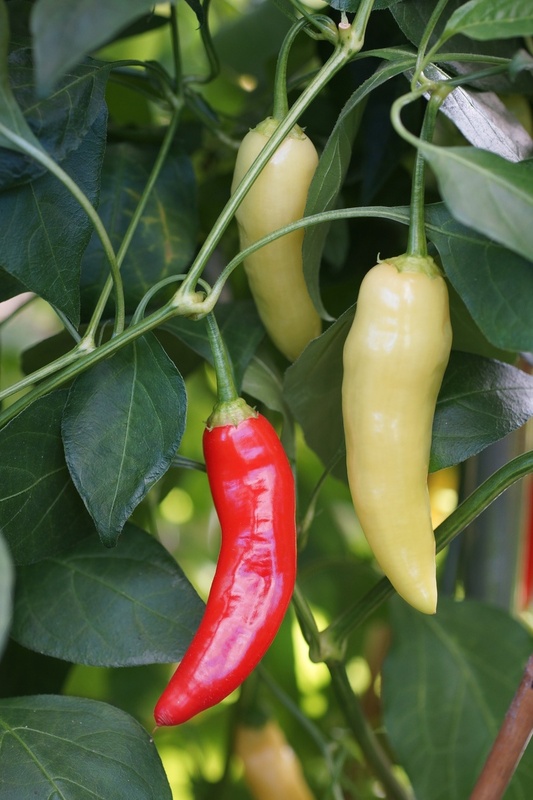 The gusanito allegedly ripens from cream-white to pale yellow and is a natural hybrid between C. chinense and C. frutescens. 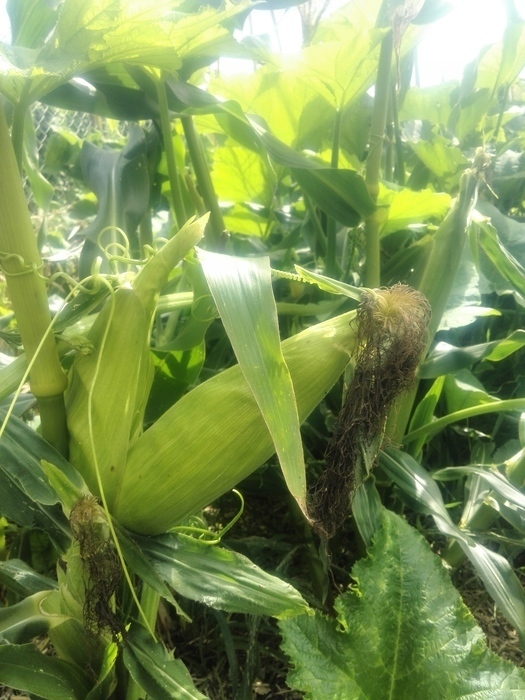 The gusano allegedly ripens from green to pale yellow and is only C. chinense. 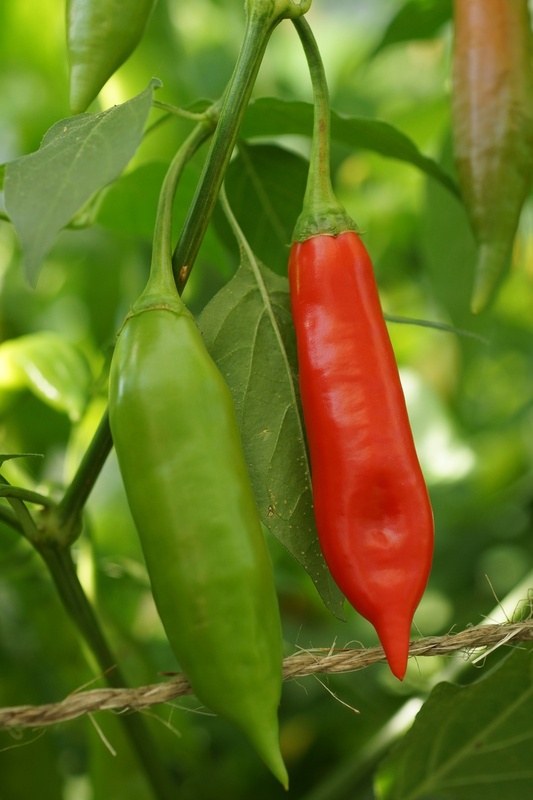 Whatever they are, they are very hot and very tasty, with a flavor similar to an habenero but without the acridity common to that breed. 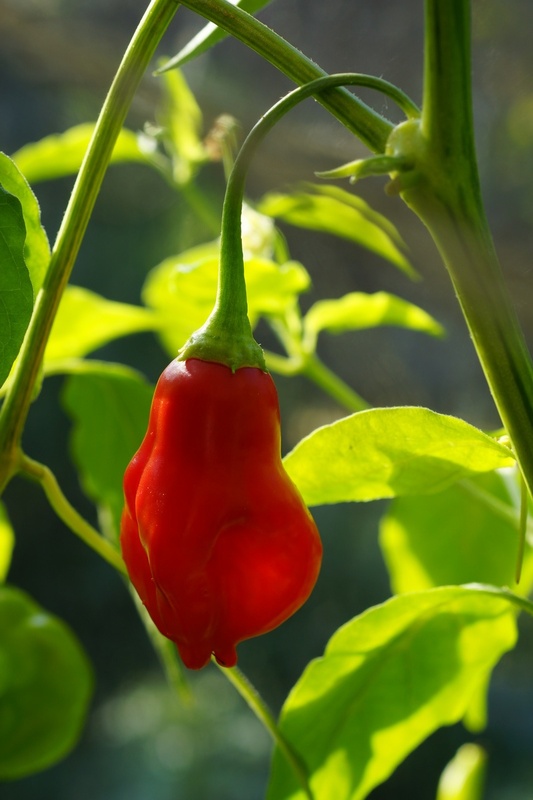 Aji crystal was a new variety for me, and I will definitely grow it again. 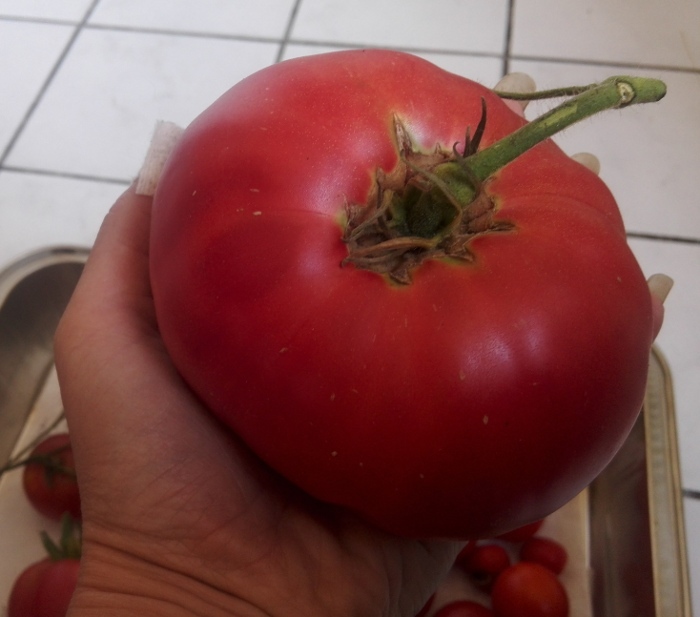 They have a good fruity flavor that makes a great salsa, medium heat, and thick walls. Costeno amarillo is lauded in the seed catalogs as having a lemon-citrus flavor, but to me they did not taste of anything in particular. They were also considerably smaller than the 5-8cm advertised and had a blockier shape, so perhaps these were an unintended crossbreed. 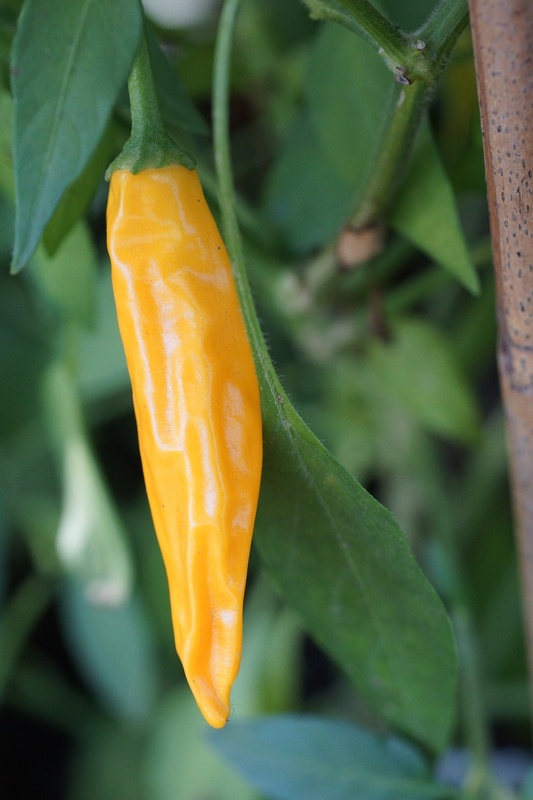 Aji yellow were one of the (literally) big surprises of the year. 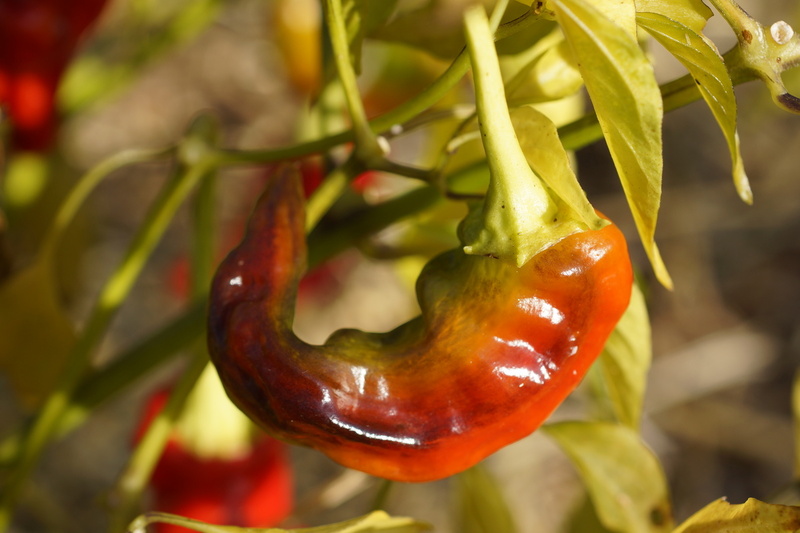 The peppers were about 10cm long x 2-3 cm wide, with a medium heat and a nice fruity flavor typical of C. baccatum. 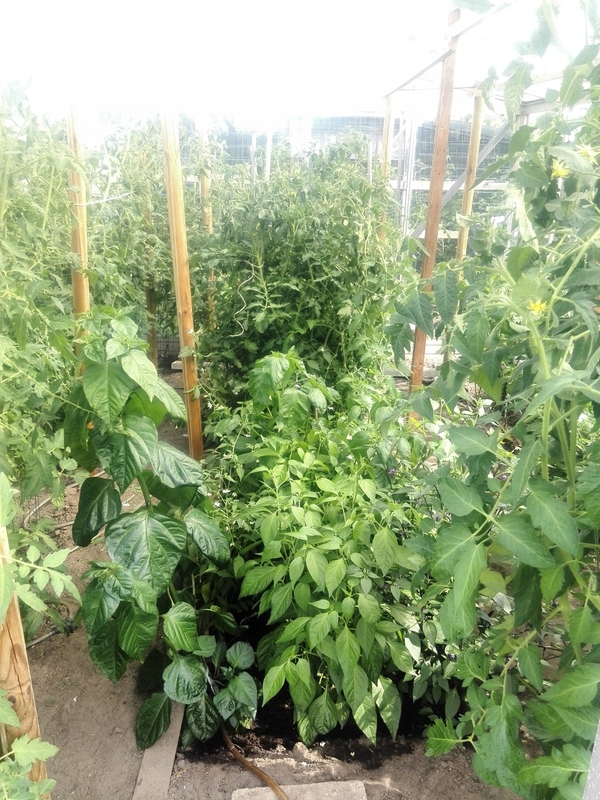 The plant grew to about 1 1/2 meters tall, and produced loads of peppers. However, at the beginning of November when the plants froze, only a few of them had ripened beyond an early spring green color. 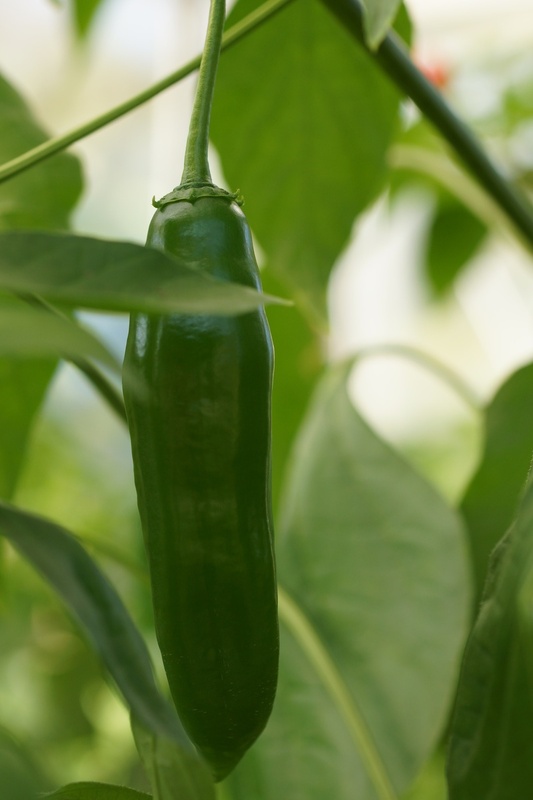 Also called the potato Jalapeno , the Jalapeno Farmer's Market takes the tendency of Jalapenos to develop a corky exterior to the extreme. The Dulce Dolor has become one of my garden standbys. It is medium hot and a great producer. It also seems to be fairly resiliant in our climate. 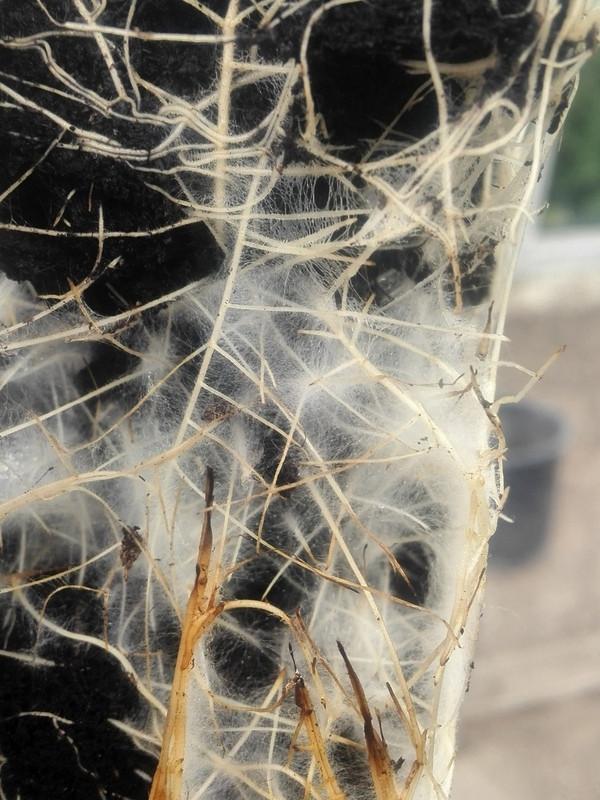 I have one plant that is currently on its fourth year (after being brought inside in the winters). 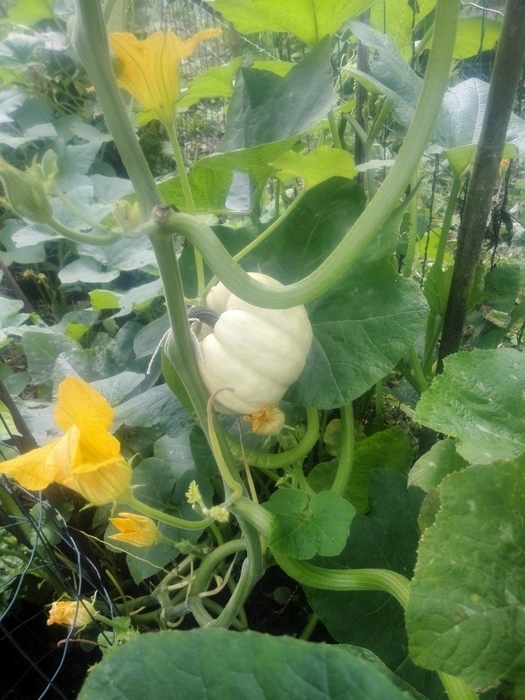 These were grown from seeds I saved last year. 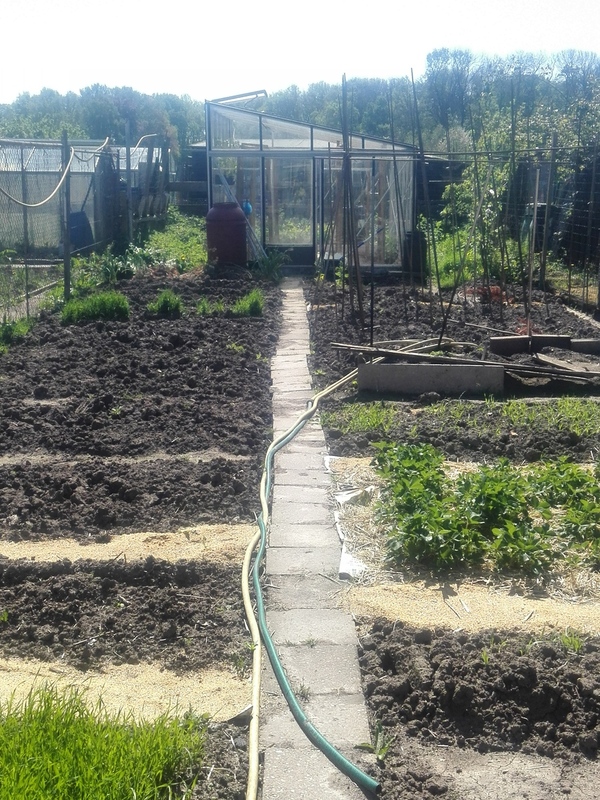 However, clearly something happened on the way to the gene bank - these were about twice as long as their parent peppers. They were also somewhat hotter, but had the same great flavor. 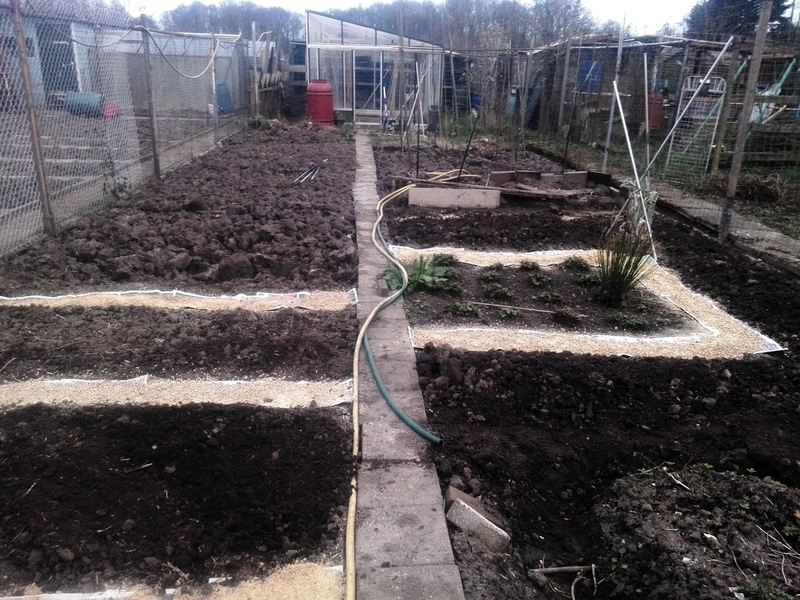 Only a couple of plants had this look, though, so I suspect it is not a predictable result. 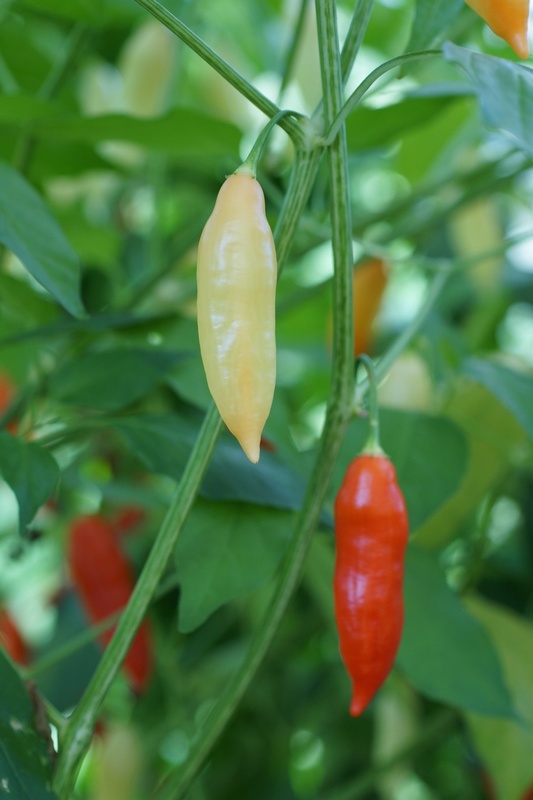 Aji Colorado is a variety I brought over from the US. It has a somewhat smokey flavor and medium heat, and makes a great enchilada sauce. Starfish has a very pretty shape and tends to keep fresh for a long time. They are rather small, though, and thus not the most practical of peppers to work with. 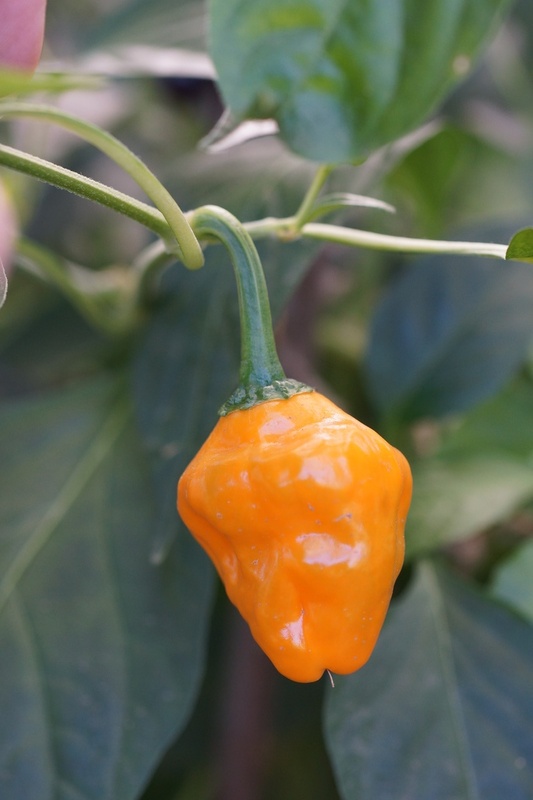 This pepper was sold as Aji amarillo . It goes from white to purple to orange to red, but never once passes through yellow. 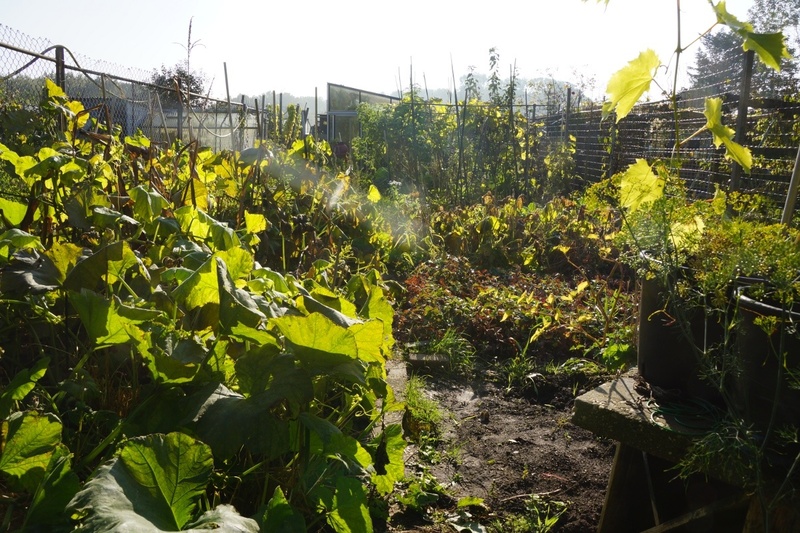 It is fantastically productive and even does well outside. It is fairly hot, but the flavor is not all that special. 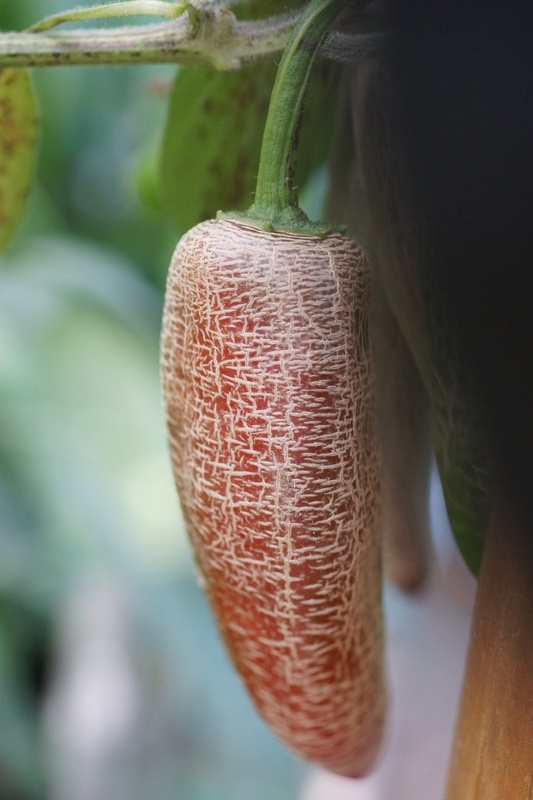 My guess is that it is actually an Aji Omnicolor, or possibly the result of an unintentional cross with an Aji Omnicolor. 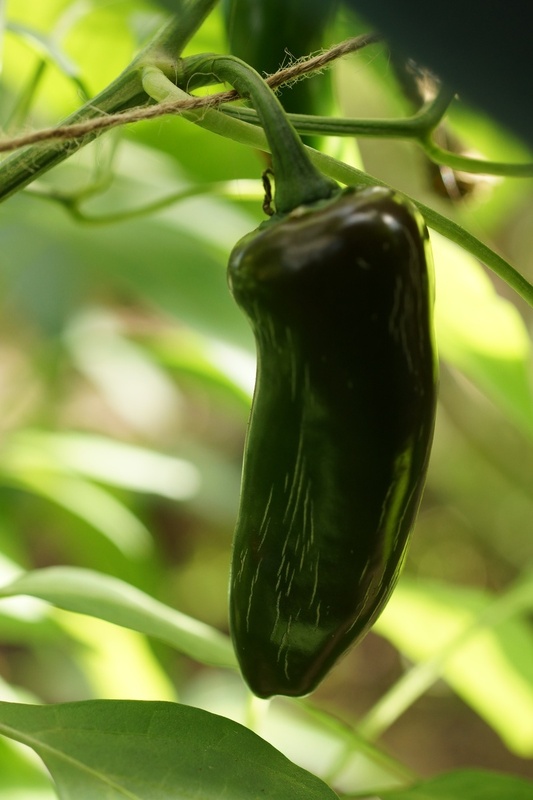 A standard-issue Early Jalapeno , which produces no earlier than the other jalapenos in the garden. 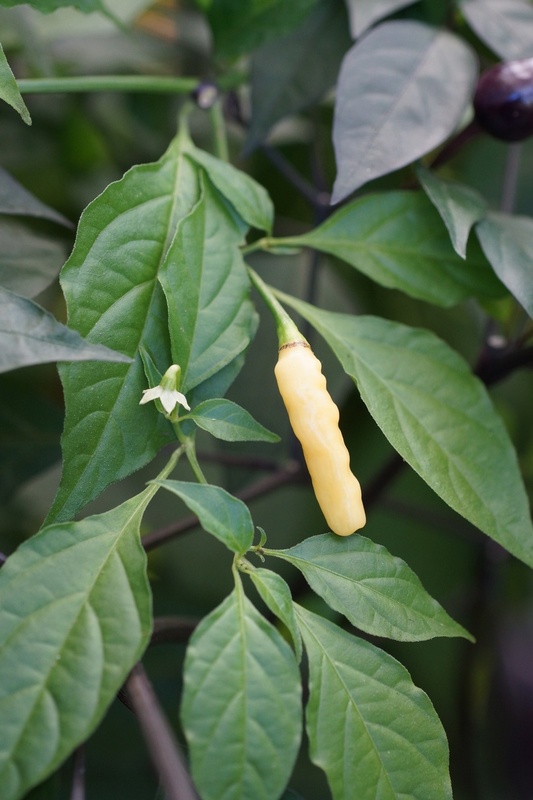 The aji pineapple is, as near as I can tell, another name for the hot lemon pepper. Both are C. baccatum and both have a pleasant lemony flavor, once you get past the screaming. Urfa biber (literally: pepper from the Urfa region) is sold in as rich-flavored, smoked, dried flakes in the Turkish stores throughout the Netherlands, but seeds for the fresh pepper are remarkably hard to find. 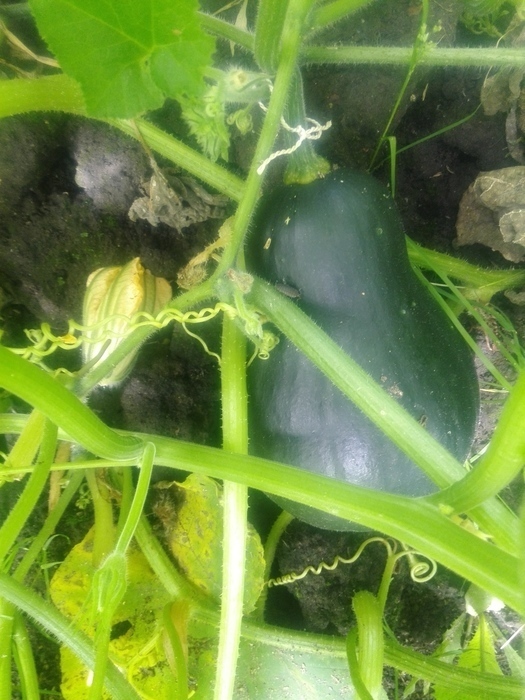 I finally tracked some down, and it will never leave my garden again. 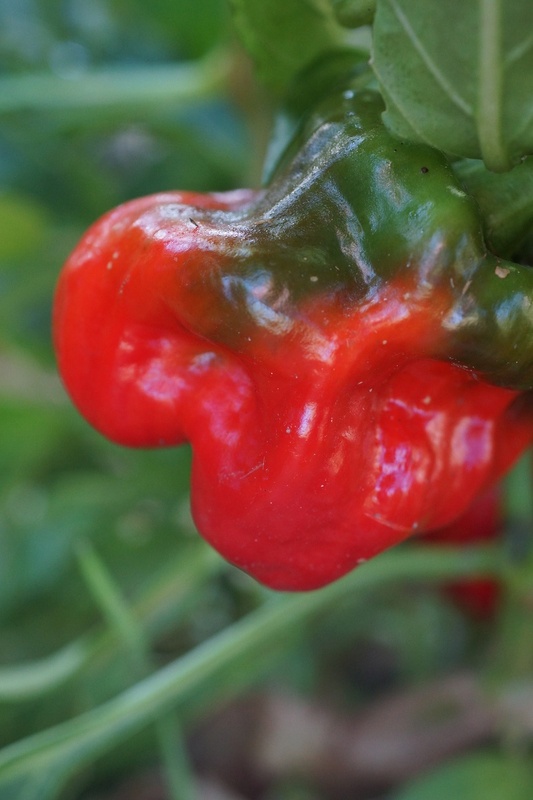 The peppers are the size of a bell pepper, albeit a bit thinner-walled and more wrinkly, but they are surprisingly *hot* for a pepper of this size and have the same great rich flavor that the smoked pepper has. Chile rellenos made from anchos pale next to these guys. My Turkish neighbors brought over a tiny pot of pepper seedlings. 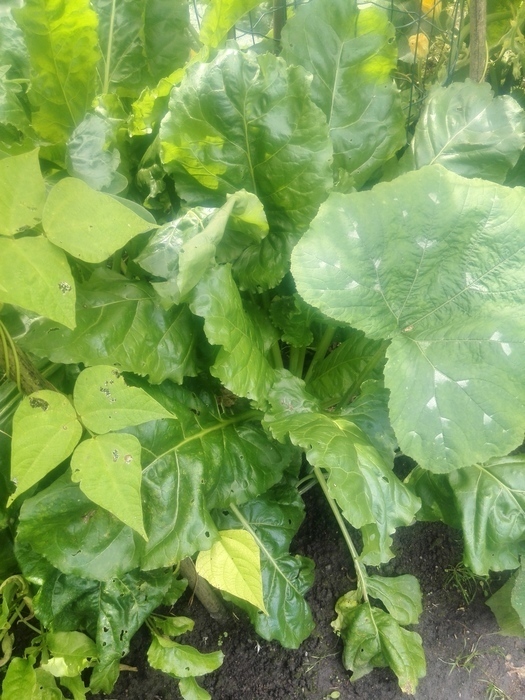 They don't speak English, so we communicate in broken Dutch and the exchange of pepper plants. 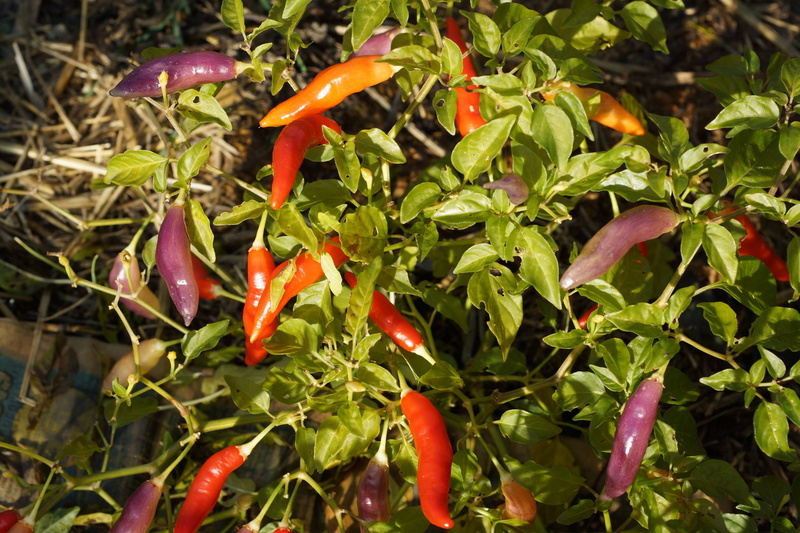 These peppers were sold as prik ki nu, the Thai bird's eye chili. 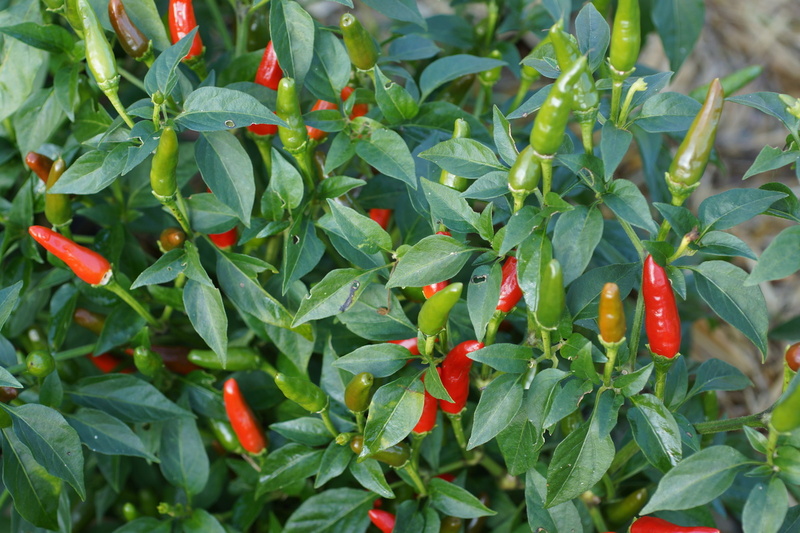 The ones on this plant were somewhat stouter than the Thai chili is meant to be, and another plant grew peppers roughly 4x their intended size. 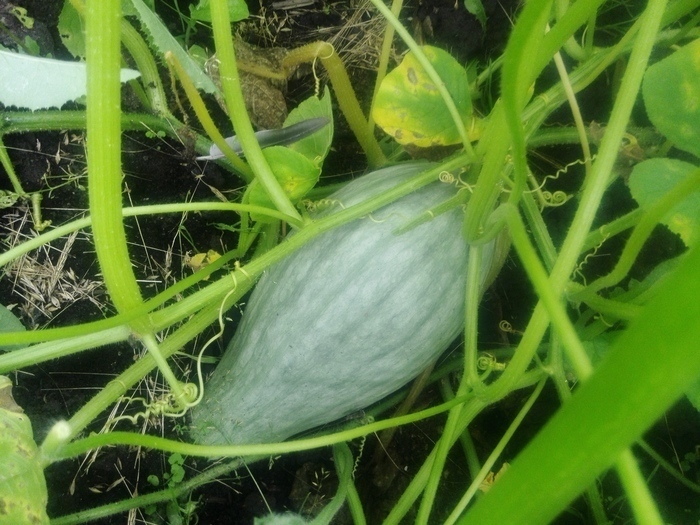 Probably these seeds were crossed with something, unfortunately they did not retain the Thai flavor of their presumed parentage. They are allegedly C. frutesens but I did not think to get a photo of the flowers while it was blooming to check if it seemed to at least fit the species description. 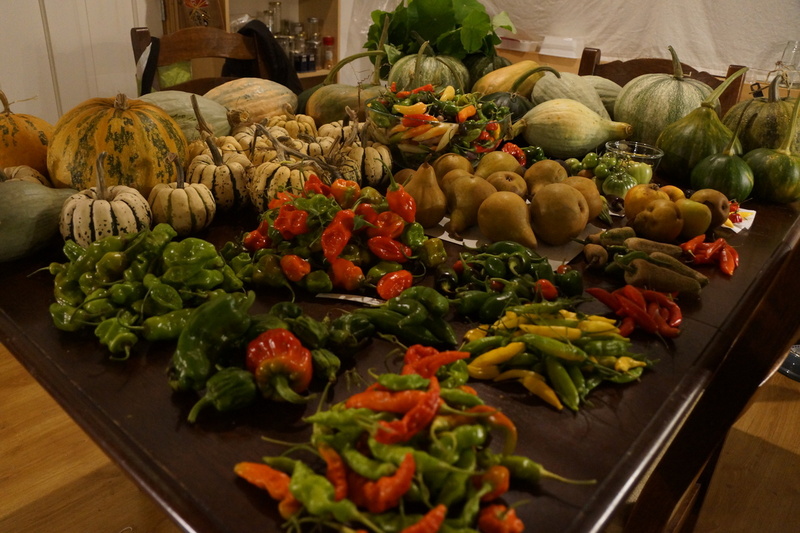 Harvest before the first frost, in late October. 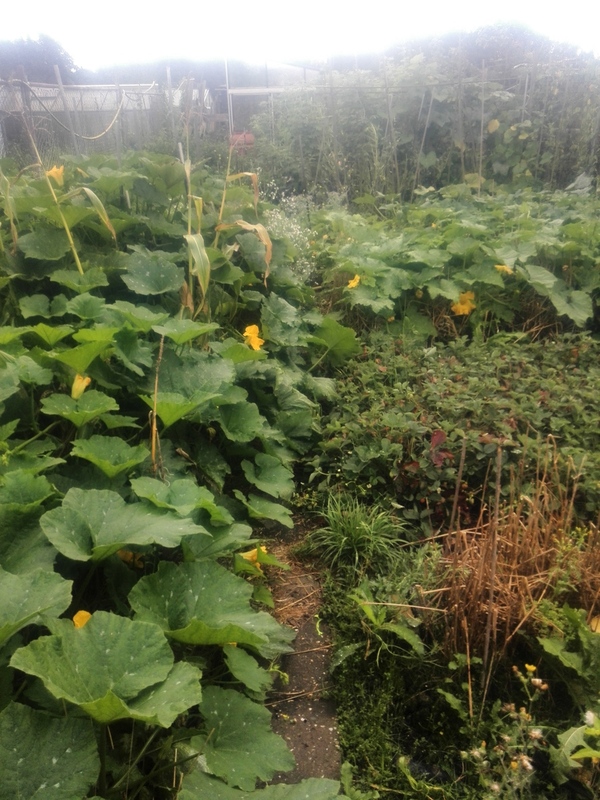 This year brought HUUUGE tracts of pumpkins. Really, it did. 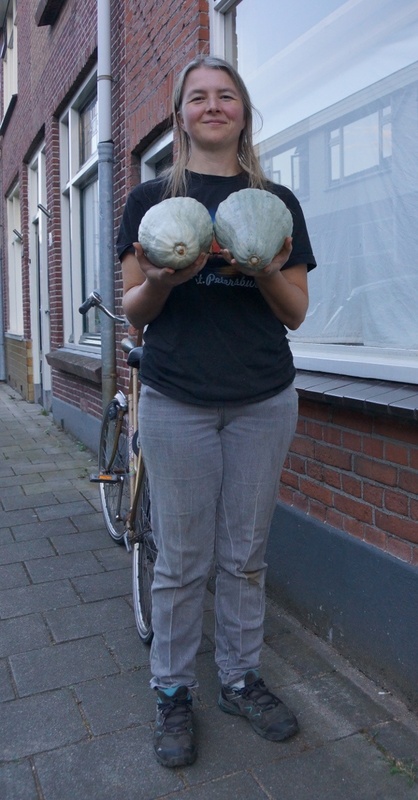 In the end I had about 60 pumpkins. 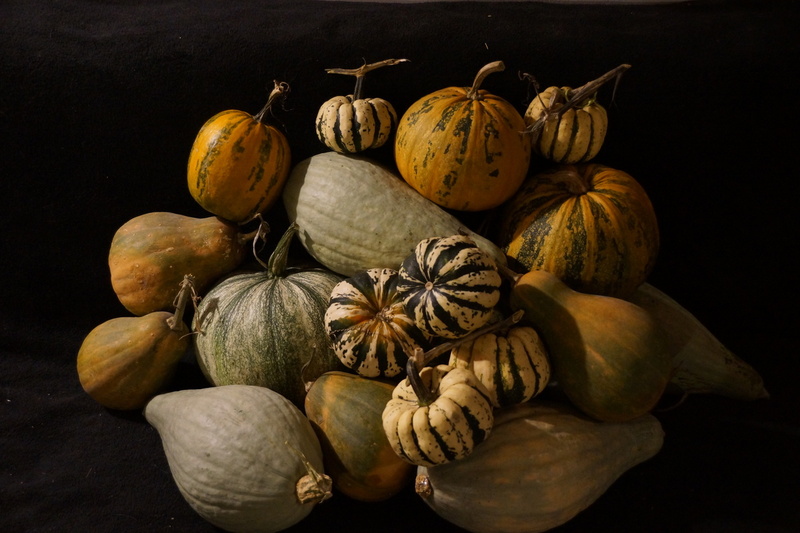 Pictured here are sucrine du berry (pear-shaped orange and green), kakai (round orange and green), salvador (white and green), sibley (football-shaped gray-green), and sweet dumpling (small with green and orange stripes). 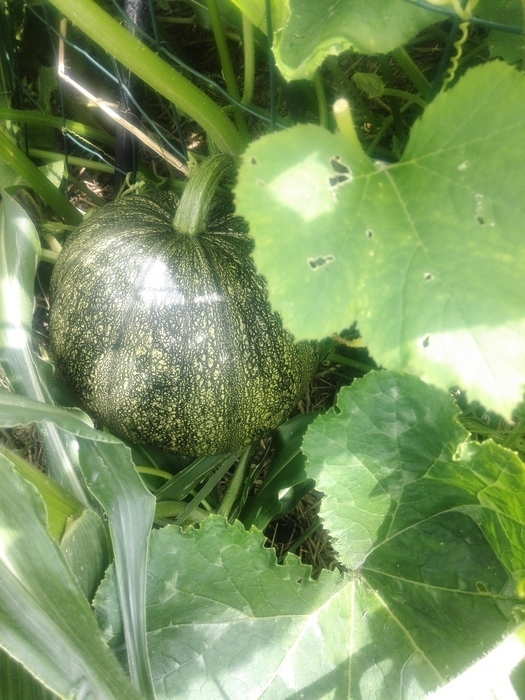 Not pictured here are the seminole pumpkins, which came on late in the year.